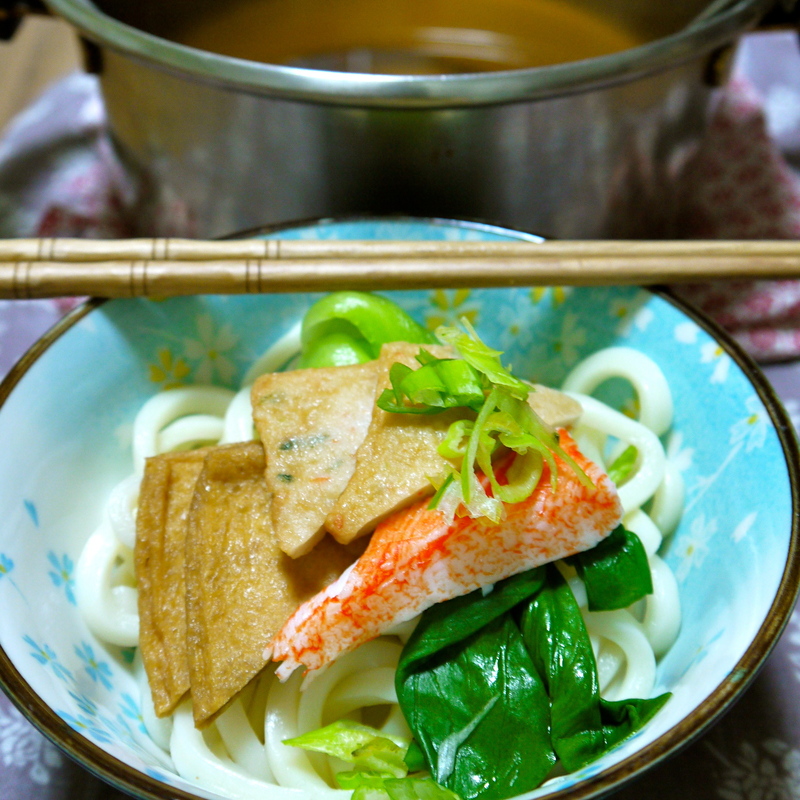 Udon noodles are one of S’s favourite dishes, and I was bound to learn how to make it. Yesterday seemed like a good time, as Seoul was/is slipping into another deep freeze and it felt appropriate to have a bowl of hot noodle soup to help remedy the cold. The process was frustratingly messy. I meant to boil bonito flakes, dried sardines and some kombu seaweed to make the dashi broth, but I got the last bit wrong and used too much of another kind of dried Korean seaweed that not only expanded so much it devoured all the broth, but also turned whatever liquid was left intensely green. Also, I didn’t have a cheesecloth, so I had to strain the soup in a sieve lined with teared open coffee filters to separate all the little fish flakes from the liquid. Finally, it wasn’t easy to prepare all the ingredients with limited counter space, so there was a lot of rotating items to and from the floor. I wasn’t too pleased with the results. I thought it was too much work for a mediocre outcome. But S thought it was great, and I suppose for some dishes like this one, he gets to be the judge. I have a feeling I will be making this again.